Never take your worship hat off – We are born to worship and we will worship for eternity. It is important to give yourself to worship in every area of your life whether in the private times of intimacy, the choices you are making or in gathering with other believers. Live intentionally – Don’t be passive in your walk with Jesus. Choose daily to allow God’s Spirit not only to lead you, but to teach you. Renew your mind daily – Bring your mind, your thought life, and your actions to the Lord, allow Him to reveal and heal the way you think. If your mind is not healthy, you are not healthy. “Every choice you make is either transforming you into the likeness of Christ and leading you into your destiny, or stealing your purpose and what God has created you for,” shares Christy. Remember who you are – It is vital to know who you are and why you are here. Your identity is found in Christ alone. In John’s first decade as a Christian he led hundreds of people to Christ. By 1970 he was leading 11 Bible studies that involved more than 500 people. He was asked to lead the Charles E. Fuller Institute of Evangelism and Church Growth. And he later became an adjunct instructor at Fuller Theological Seminary where his classes set attendance records. Thru extensive reading and encounters with missiologists and seasoned missionaries, John was convinced that all the biblical gifts of the Holy Spirit should be active in the church today. He began to teach and train his church to imitate Jesus’ full-orbed kingdom ministry. He began to “do the stuff” of the Bible that he had formerly only read about. By 1982 John joined the Vineyard movement. For the remainder of his life, John traveled extensively while teaching and ministering on evangelism and healing. He died from a massive brain hemorrhage in 1997. Christy grew up next door to the Wimbers. She accepted Christ at a young age but did not get serious with her faith until she was 20. At that time John’s son, Sean Wimber, who is 9 years older than Christy, had gotten saved. They soon married in 1990 and began to travel internationally with John. Sean and Christy have been in the Vineyard Movement since the beginning, back in 1977. Both of them came out of the Friends Church, a Quaker church in Yorba Linda. People often think the Vineyard Movement came from a Calvary Chapel, when in fact, they are Quakers at the root, and Vineyard roots are Quaker roots. 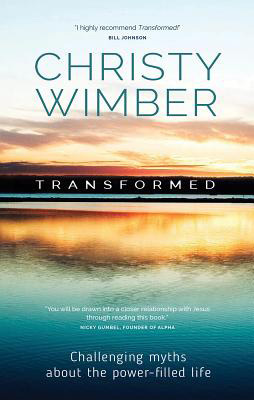 In 2009, Christy and Sean provided Regent University with a full library of John Wimber teachings from throughout his ministry. Celebrity photographer Jeremy Cowart shares how his parents helped him find his focus when he struggled in school.